From lobster poutine to butter tart squares, it's time to rediscover Canuck cuisine. Canada's 150th birthday may only last a weekend, but the pride of living in the country of back bacon, poutine and spicy Caesar's lasts forever. We knew plaid flannel was cool way before Seattle did; we understand the phrase "could you pass me a serviette, I just dropped my poutine on the chesterfield"; our hockey games end with the "Coaches Corner"; and we get to roll up the rim to win every year! Let's face it, Canada is pretty cool! 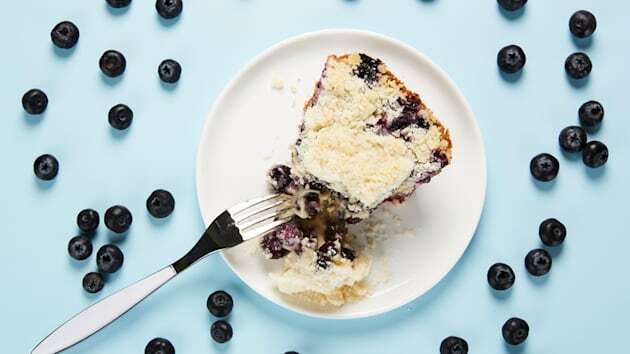 So in honour of our home and native land, we've pulled together some of our favourite recipes that are guaranteed to please your True North taste buds! From lobster poutine to butter tart squares, it's time to rediscover Canuck cuisine. 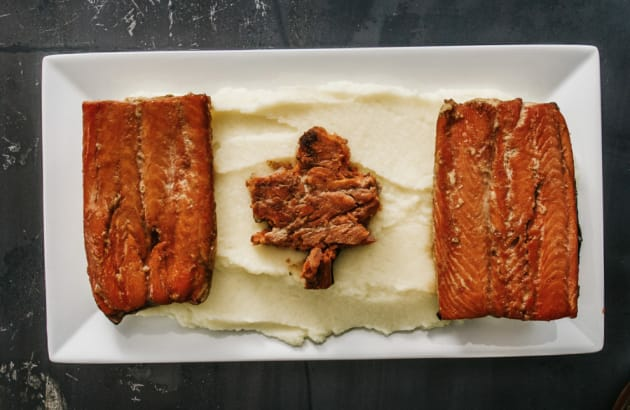 I love making flag foods but Canada's flag isn't the easiest to render in food. I had to get Mike to show me how to cut out the maple leaf. He used a piece of shrimp cake and I was truly impressed by his retention of how many points the Canadian flag has (11, in case you're wondering). 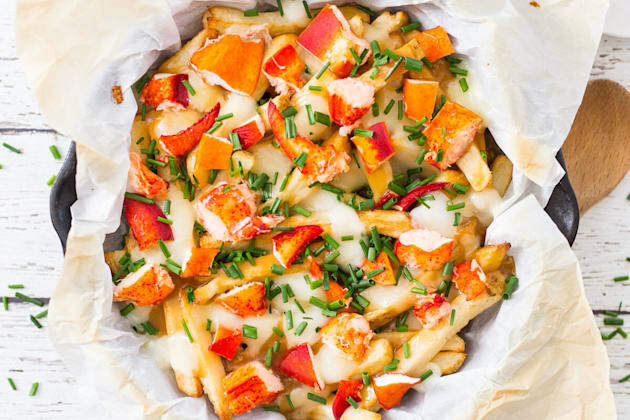 This Canada Day Lobster Poutine is going to blow your socks off! An east coast twist on a Quebecois classic, this poutine is sure to be a memorable indulgence! What's more Canadian than peameal bacon? How about maple caramelized onions? 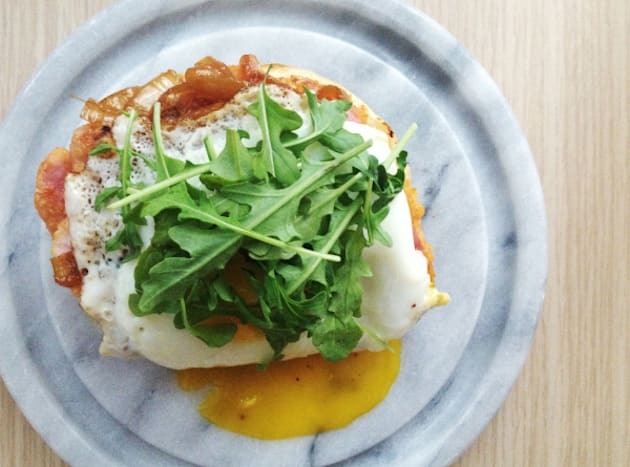 We've featured both here in a delicious open faced sandwich with freshly baked brioche. 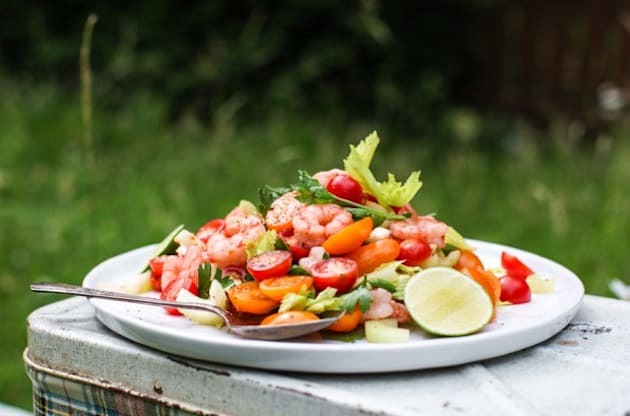 I'm slotted to bring a salad to this gathering, which is perfect because I've been cooking up something very patriotic for Canada Day – a Bloody Caesar Shrimp Salad. 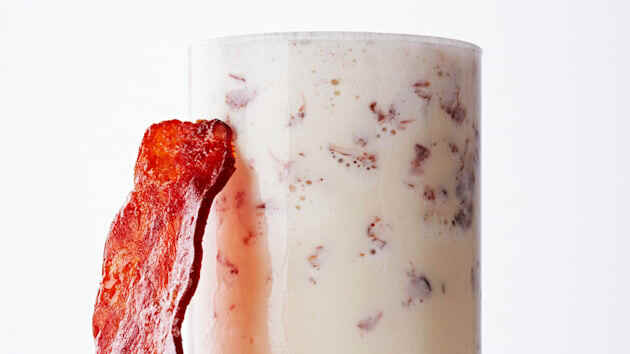 Inspired by one of our most famous cocktails, it's light, fresh, and best of all, very simple. Oh, and if you have ice, there's a cocktail to be enjoyed at the end of the recipe. What if you could whip up a batch of unbelievably amazing, fluffy and perfect pancakes faster than we can say Aunt Jemima? Well, thanks to Chef Lisa, you can. 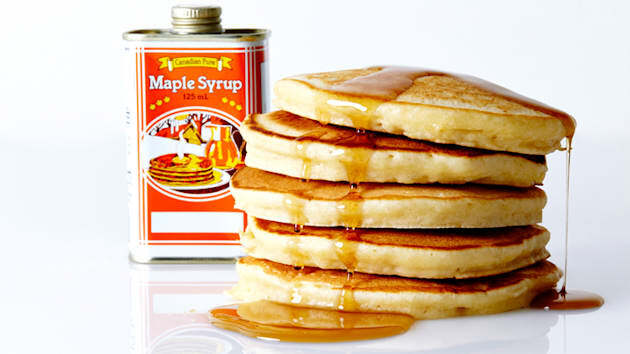 She has created these foolproof Maple and Brown Sugar Pancakes that are guaranteed to have you flipping your lid! This rich maple flavoured filling in a flakey butter cry pastry is perfect for Canada Day or even for Thanksgiving or at the Holidays. Fats domino isn't the only one who found a little magic in a berry patch. Richie Cunningham, Little Richard and even Led Zeppelin also discovered ecstasy among the juicy purple orbs – and you can too. 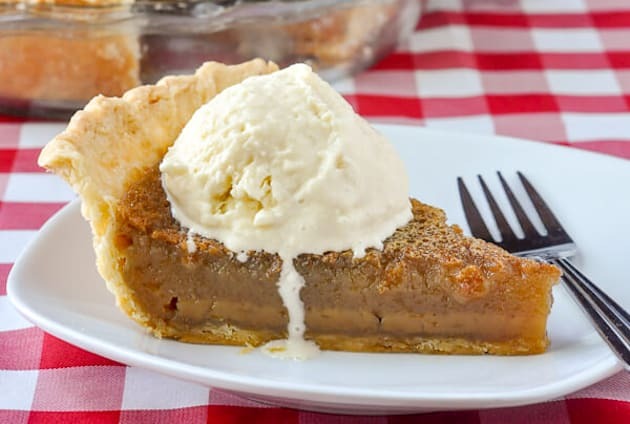 Hum along as you prepare this foolproof, sweet crisp-topped pie, so luscious it'll make the moon stand still. 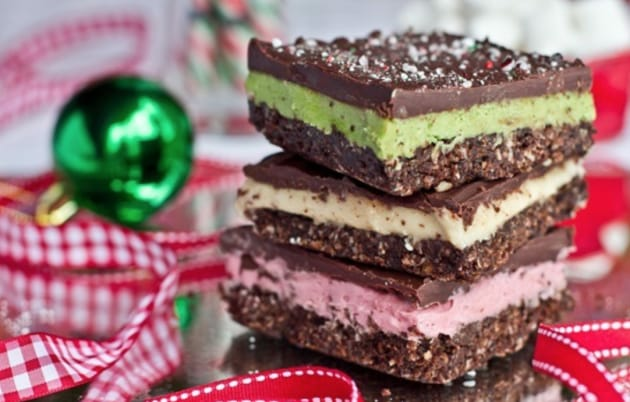 Now prepare yourself for a lifelong addiction to the Nanaimo bar goodness! I need a support group. Y'know, there's more to Canuck cuisine than back bacon, poutine and prairie oysters. Well, hold on to your toque there because Lisa has created a wicked home and native treat. 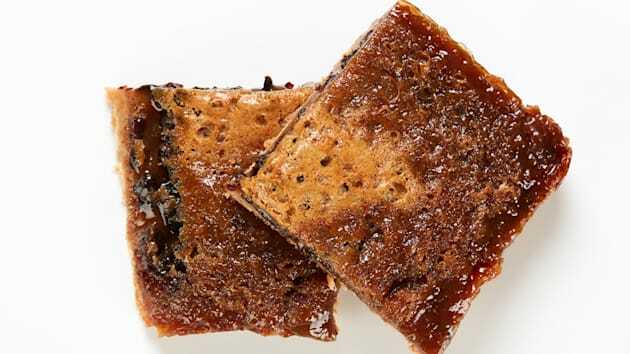 This nut-free, Northern cousin of the pecan pie has a flaky pastry crust topped with a gooey combo of brown sugar and maple syrup. take off, pemmican – this is the new national delicacy.